with memento desert sand ink. And colored it with my copics only on part of the head and cut out the image using its coordinating dies. I also added some clear sequins to finish off the card. Adorable. Love the soft colors and the overall design. This is sooo cute! 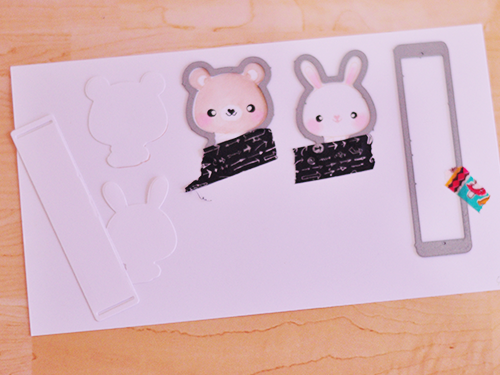 Such a cute and creative card! Super fun! 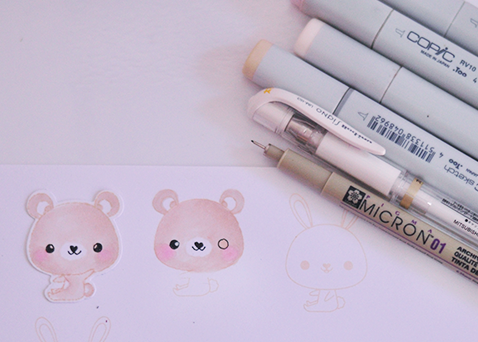 The bunny and bear remind me of PEZ dispensers! Just an absolutely adorable card, and your coloring is spot on. When I first saw this, I thought I was going to be looking at a baby announcement for a twin boy and girl. It would work, wouldn't it? Even the sentiments would work for that purpose. So sweet, soft and adorable! Cute design! 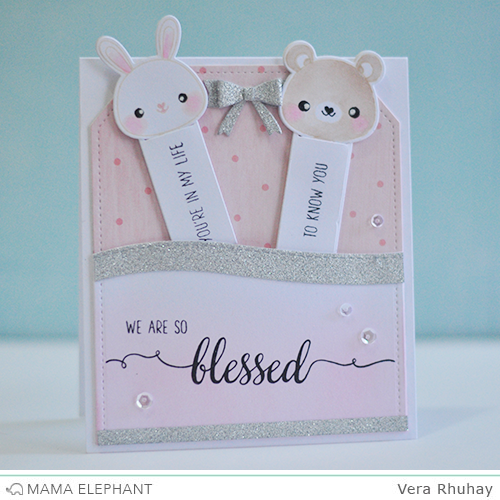 Wow, Vera, what a precious card! How sweet that the heads fit right into the tag! Your colors are so pretty, too! Absolutely darling card! So many charming details and beautiful coloring!